It takes courage for a parent to tell the story of her adult child’s struggle with mental illness and his confusing, heart-rending path to recovery. In Overcoming OCD: A Journey to Recovery, Janet Singer shares her son’s battle with Obsessive-Compulsive Disorder (OCD), from its onset during his freshman year of college, through senior year when he graduated. This is a story of the strong, young man, but for me, it is also the journey of a mother who refused to give up hope. She fought for information and enlightenment from the experts, only to find that those experts often had their own agendas and frailties. While Ms. Singer tells the story of her family’s journey, Seth J. Gillihan, PhD provides the reader with gray text boxes that educate about OCD, medications, evidence-based treatment, and outcomes. Both the narrative and the information are straight-forward and easily absorbed. 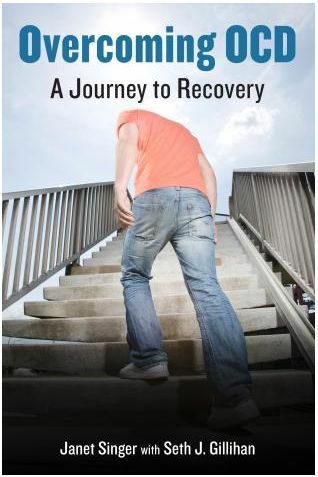 The book concludes with six pages of mental health organizations and OCD resources. In Overcoming OCD, the author gives insight into the complexities of co-occurring disorders and the trial-and-error approach to medication. We see the tightrope Ms. Singer walks between advocating for her son and overstepping, and between following doctors’ orders and questioning their methods. Ultimately the author decides to trust her instincts, which are based on the relationship she has with her son, the child she had known since the day he was born. It should be noted that the medication information in the sidebars appears to be at the class level, which means the side effects may or may not apply to the specific medications listed. In addition, medications mentioned in the narrative were prescribed based on Ms. Singer’s son’s symptoms. As Ms. Singer mentions in the book, medications that work for one person may not work for another. I recommend this book to anybody supporting a loved one in managing a mental illness. The reader will discover he is not alone, there are resources and help available, and most important, there is hope. Overcoming OCD: A Journey to Recovery was provided to me at no charge in exchange for my review. However, I do not know the author, nor would I recommend a book that I did not read. Note: for more information about mental illnesses, co-occurring disorders, and medications, consider taking the National Alliance on Mental Illness’s free Family-to-Family class. Family education and support can aid in a loved one’s management of the disease and recovery. 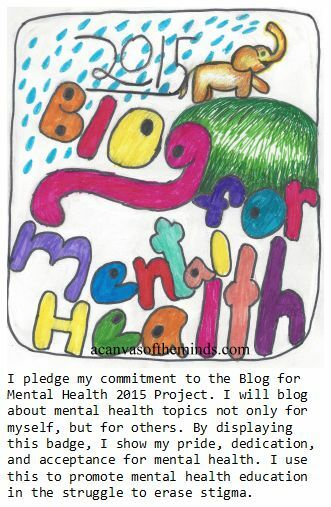 This entry was posted in Book Reviews, Weekly Brief and tagged Book Review, Mental Health, NAMI, OCD. Bookmark the permalink.